From Kate Northrup: "How to Use Your Intuition to Save Massive Amounts of Time, Energy and Money"
Love this post from financial wellness expert, Kate Northrup. 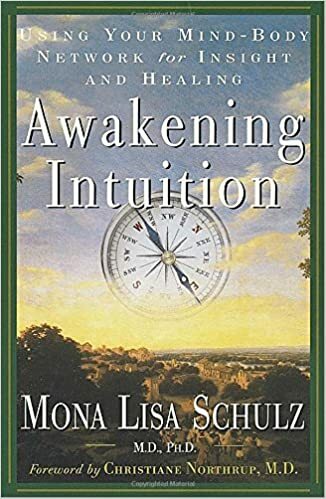 I'm in the middle of reading a book about intuition, that Kate's mom, Christiane Northrup, wrote the foreward for, called "Awakening Intuition" by Mona Lisa Schulz. I'm not surprised that there's overlap for what Schulz says about about intuition and what Kate Northrup does about about financial wellness. I've been quiet on the creative front lately, because I've been focusing on getting my finances straightened. They were really really messy. So messy that I wasn't really able to concentrate on creativity. It's like that Maslow's Hierarchy of Needs. My financial ones were not met at all, making time for creativity very sparse because a lot of energy was going into making ends meet. In coming posts, I'll be talking more about what-all I've been up to, since now that I'm out of the weeds, I want everyone to feel better, like I feel. In the meantime, follow Kate. She's great and has goos stuff to share.